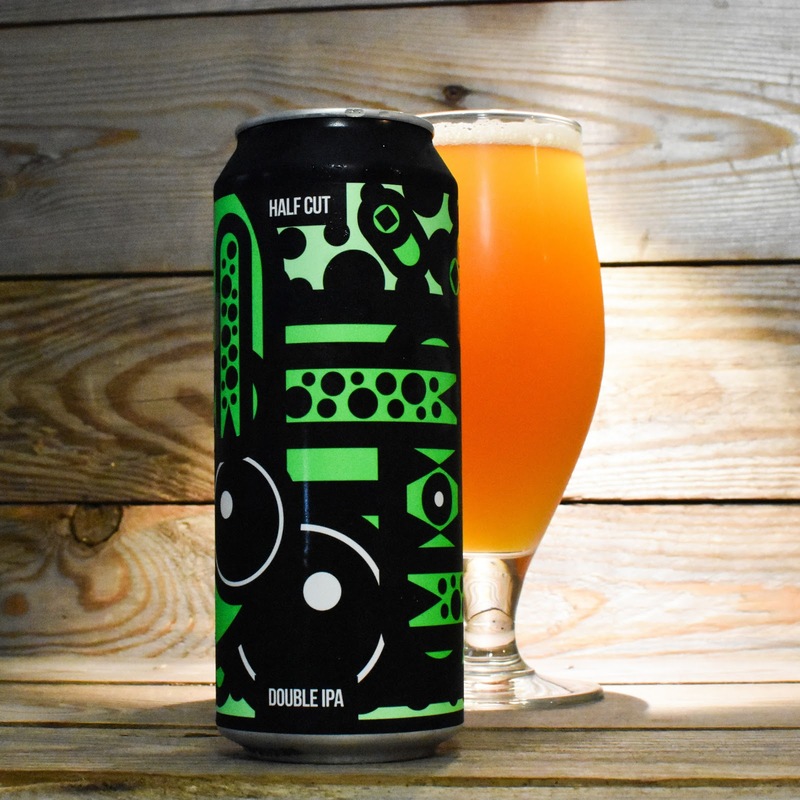 Half Cut is the second collaboration that Magic Rock released this month. 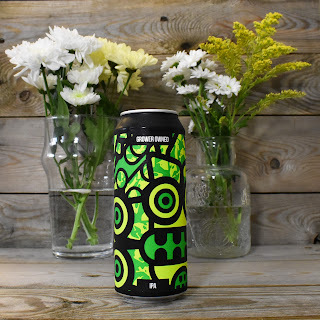 The first, Grower Owned, was a great beer and you can read my review here. 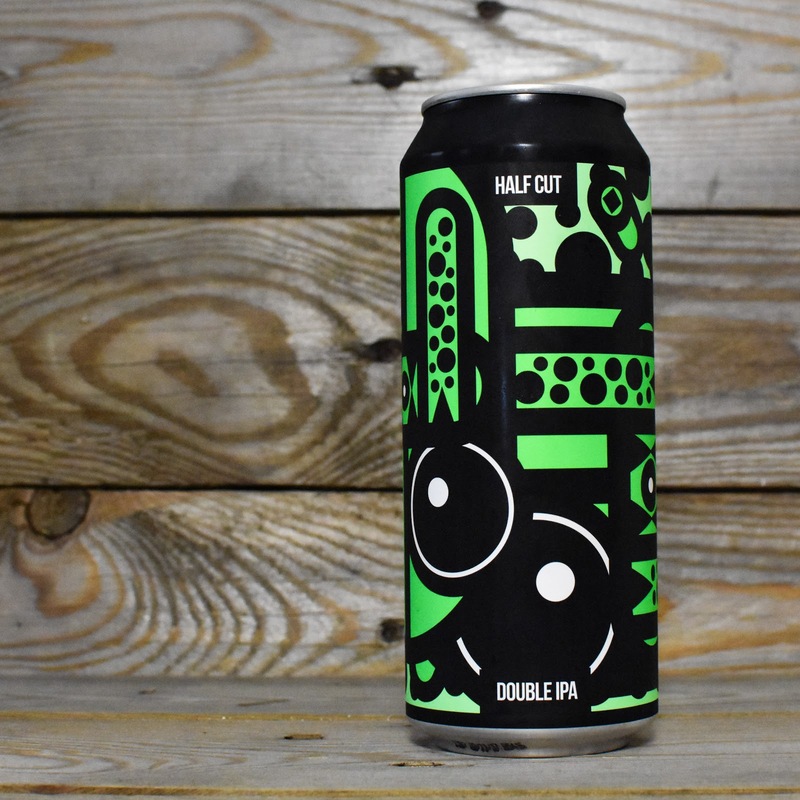 The second is Half Cut, a NE style double IPA brewed with Other Half, a hugely popular craft brewery from New York. 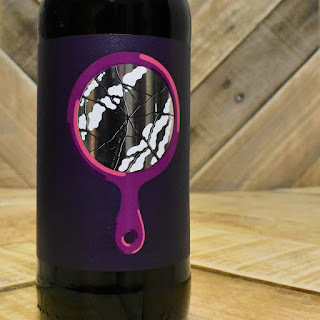 It certainly looks great, pouring a hazy dark burnt orange with a white head that laces well. 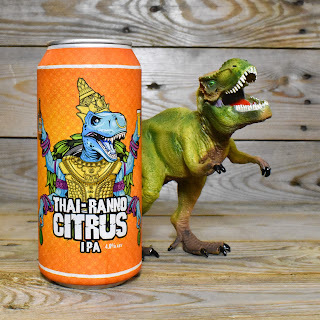 It has a very punchy aroma, with tropical mango and candied citrus peel dominating. 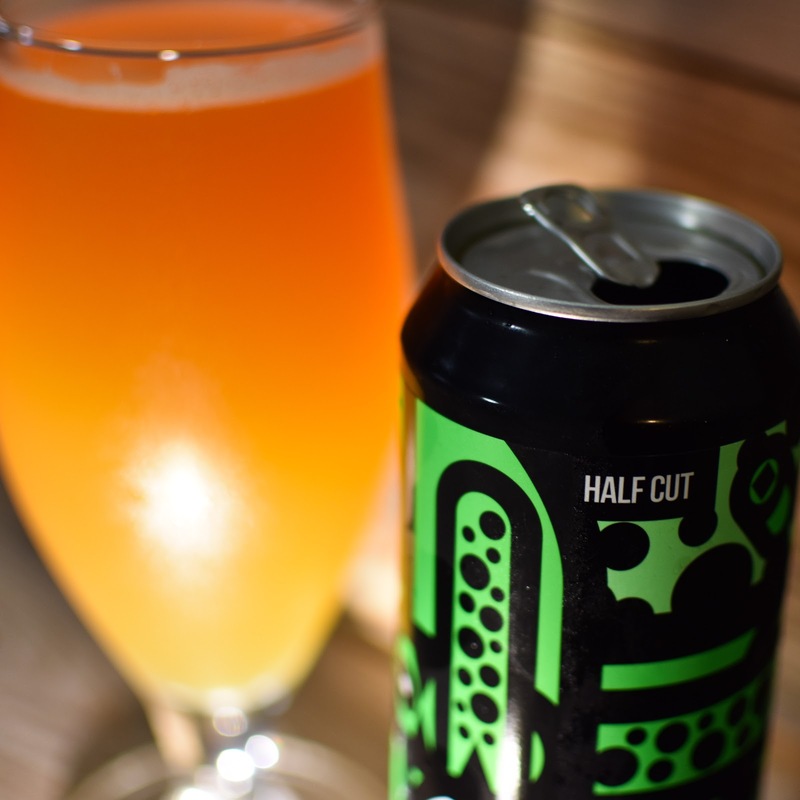 Half Cut is relatively well carbonated but has only a medium body that wasn't as creamy as I'd expected. Like the aroma, the flavour is not delicate. The mango and sweet citrus stand tall at first, then there's a hearty smack of sticky pine before a moderately bitter finish. Running beneath all of this is a fairly prominent alcohol hit. I'm a little bit on the fence over this beer; I'm not adverse to a boozy pop of alcohol, especially in a beer of 8% ABV.... but..... I've drunk some cracking DIPA's in the last six months that have been chock full of flavour yet provide not even a hint of alcohol in the taste profile. 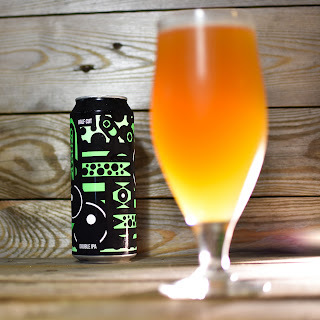 I can see a lot of people really enjoying this DIPA and it simply come down to personal preference and what you're looking for in a beer of this style. 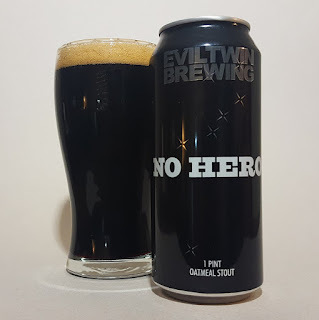 It's good but it hasn't blown me away and, if given a choice of Magic Rock Beers, I'd rather have a can of their recent DIPA Human Cannonball. 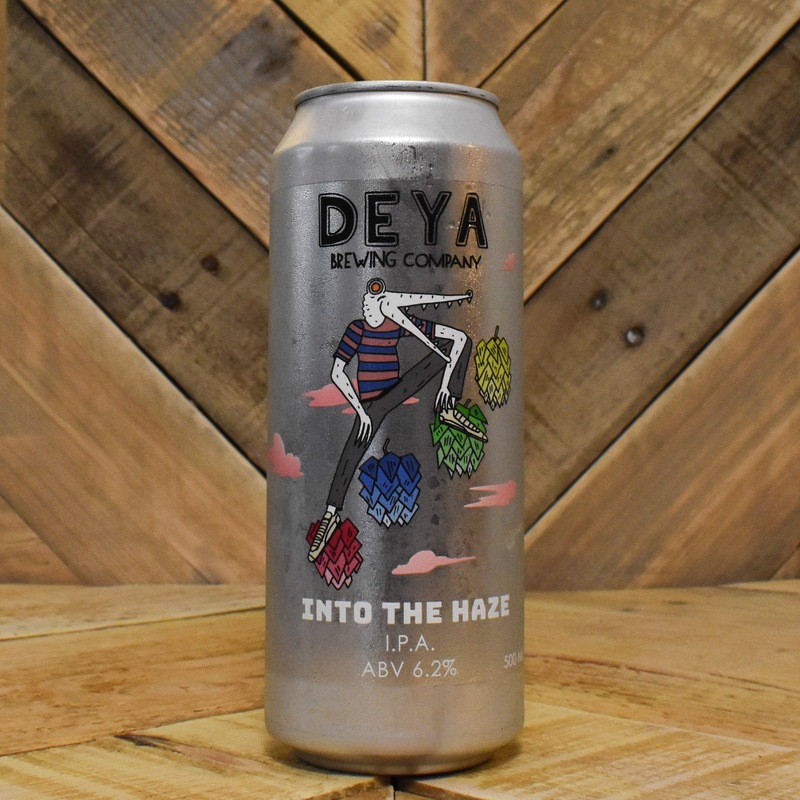 Originally self labelled as a Gypsy Style Brewery, Deya finally found themselves a permanent base when they moved into a Cheltenham warehouse facility in early 2016. Since then their range and their reputation has been on the increase and today, thanks to The Beer Musketeer, I've finally tried my first Deya.... and if Into the Haze is anything to go by, this brewery is going to be huge! 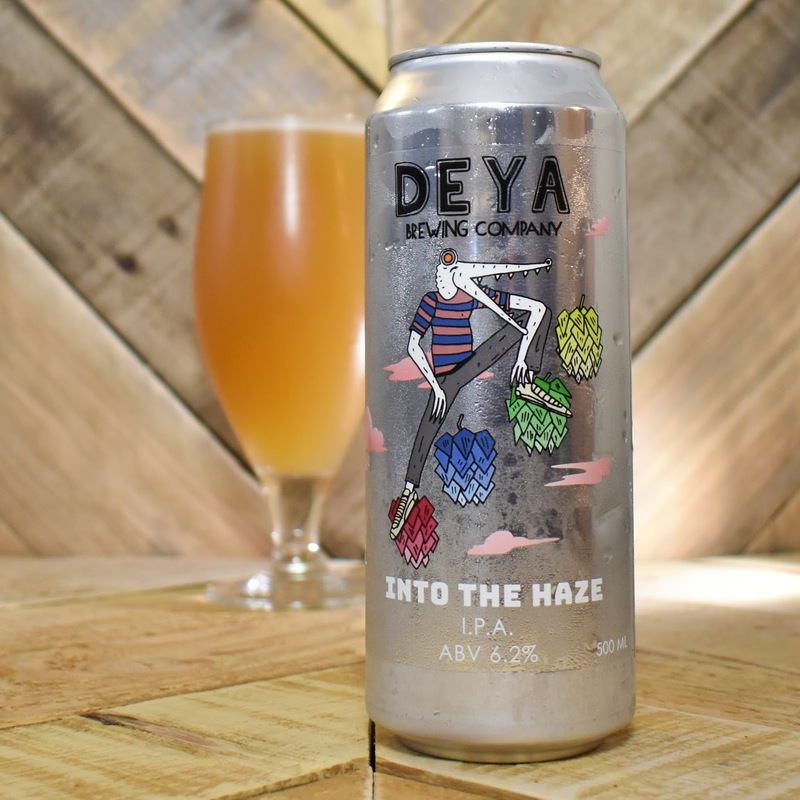 Into the Haze looks every bit a NE style IPA; hazy burnt orange with a crisp white head which offers pretty good lacing. 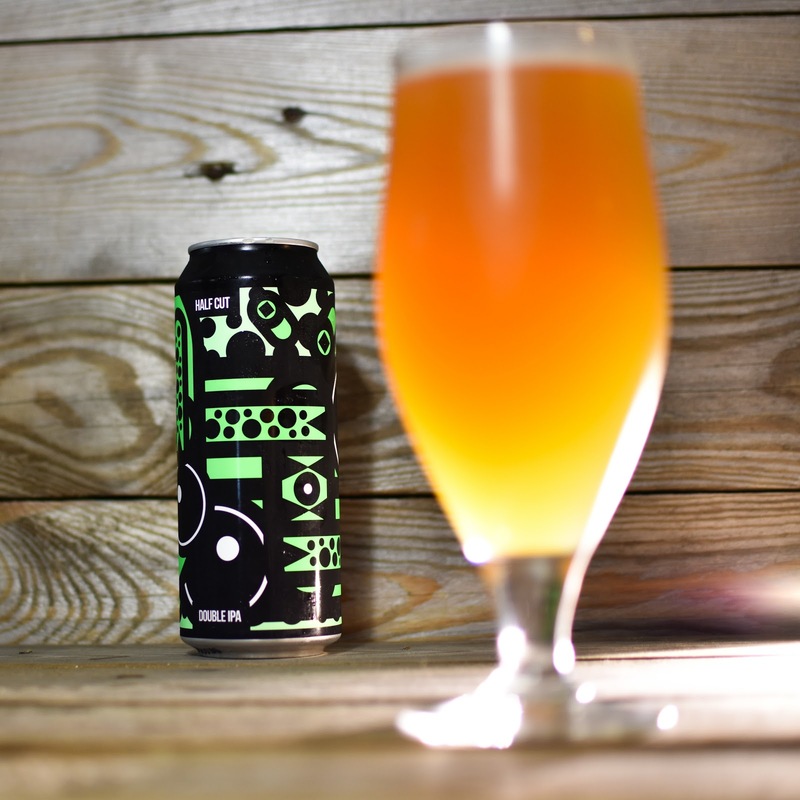 The aroma is chock full of soft ripe mango, pineapple and apricot... its a veritable fruit salad! 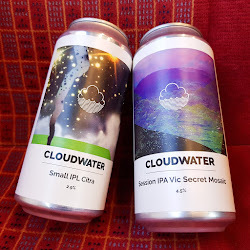 It has a ridiculously soft mouthfeel; I've never taken a bite of a cloud but if I did I imagine this is what it would feel like! All of this fruit flavours carry through into the taste, with tropical ripe mango dominating. But it's not overly sweet, with just enough citrus bitterness on the finish to get your saliva glands oozing. The combination of hoptastic fruit flavour and super soft mouth feel makes Into the Haze one of the best NE style IPAs I've had. Deya have worked wonders here and I'll be seeking out more of their beers as soon as possible. 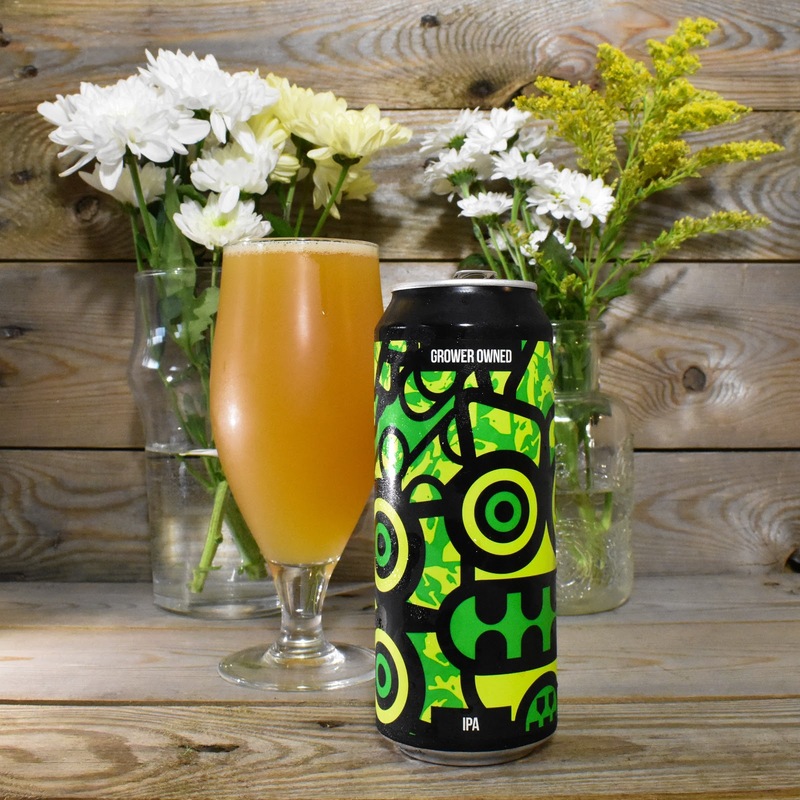 Magic Rock, one of the forefathers of the UK craft beer scene, have received some criticism in the last year or so for the lack of innovation amongst their core range. 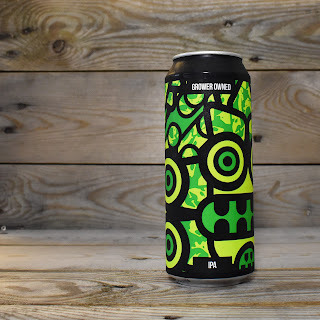 However in the last few months they've had something of a mini renaissance; Human Cannonball and Unhuman Cannonball were very impressive and now they've dropped two limited edition collaborations that have blown me away. 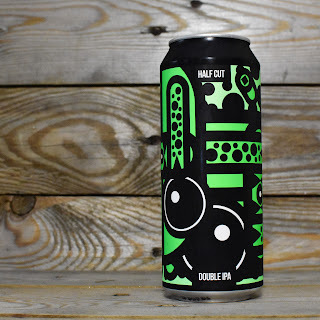 I'll come on to Half Cut, their collaboration with Other Half, in a future blog post. 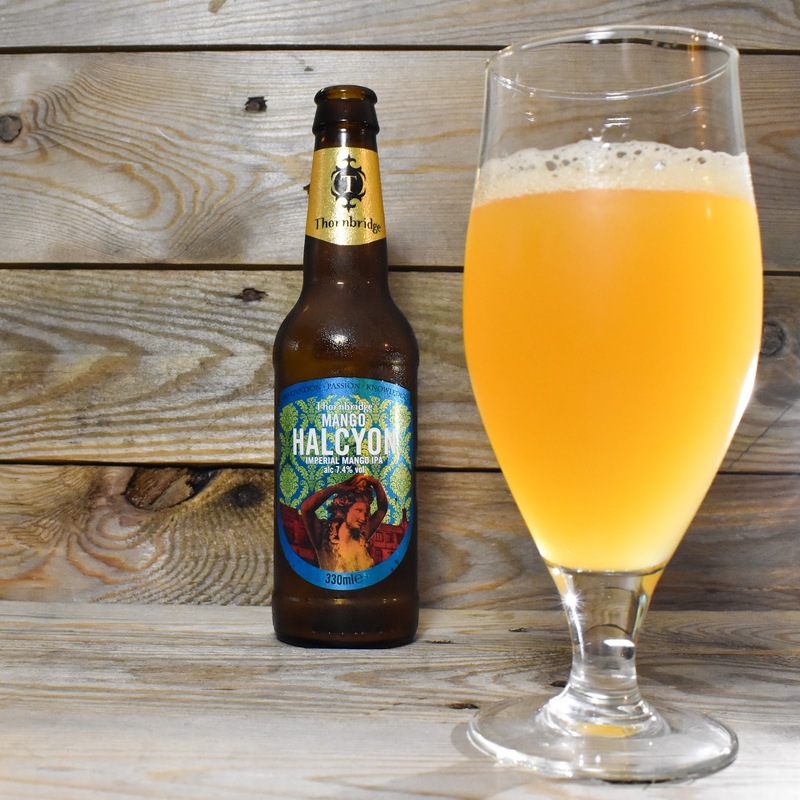 Today I'm focussing on Grower Owned, an IPA that they've put together with Karl Vanevenhoven from YCH Hops. 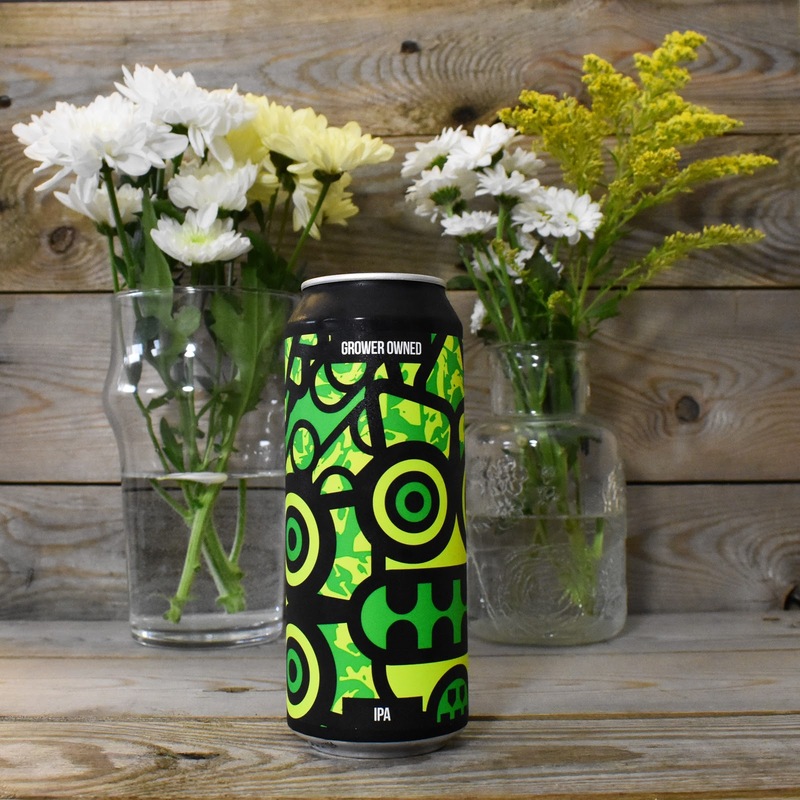 YCH are an Oregon based grower-owned producer of hops who are committed to supplying their products to the craft beer industry. 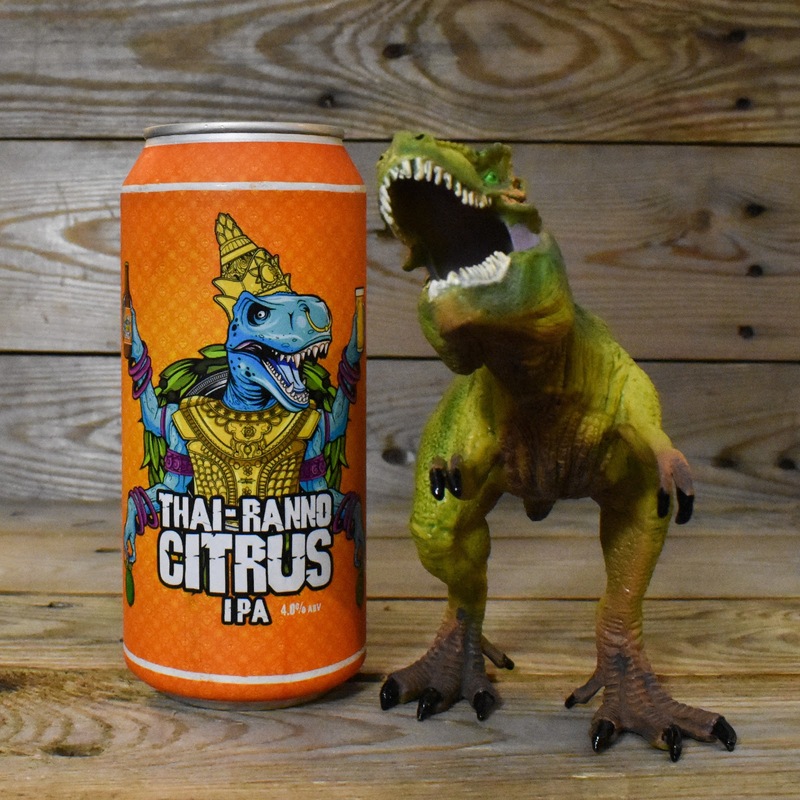 It's therefore not a huge surprise that the beer they've created is a hop heavy IPA. It pours a lovely hazy orange colour with a fast disappearing white head. 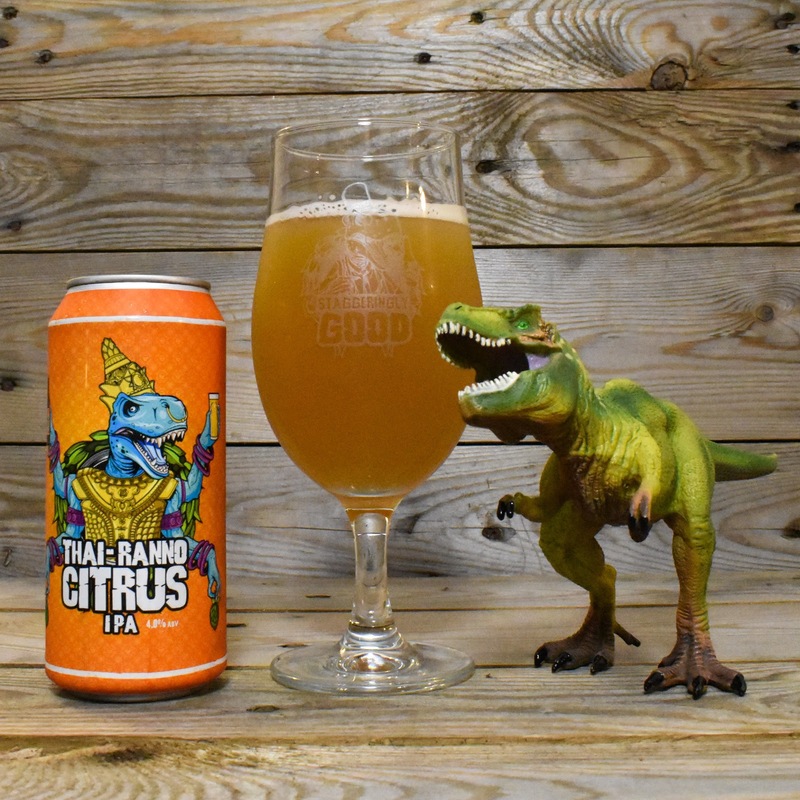 The aroma hits as soon as you crack the can; sweet mango, citrus and a healthy amount of pine smacking you clean in the face. It has a lovely smooth mouth feel and straight from the fridge feels hugely refreshing. So the taste? Yeah it's pretty bloody good! 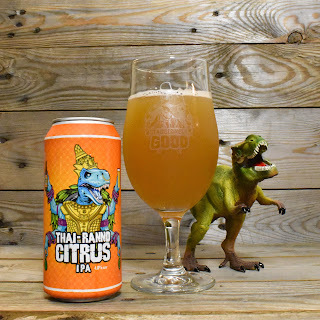 The fresh ripe mango flesh is first up, but this doesn't last long before being superseded by a big old smushing of pithy grapefruit with a hint of sticky pine. And it's the citrus that dominates the dry finish. 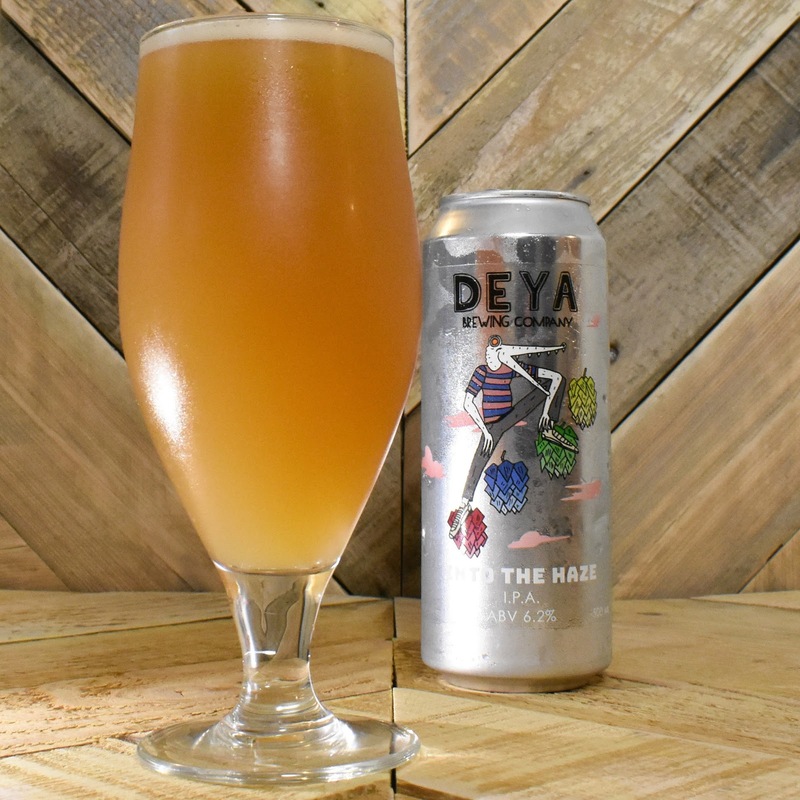 Grower Owned may not be as full of tropical fruitiness as some of the recent hop forward IPA's but that dry finish is something that I really enjoy and helps make this a very refreshing beer. 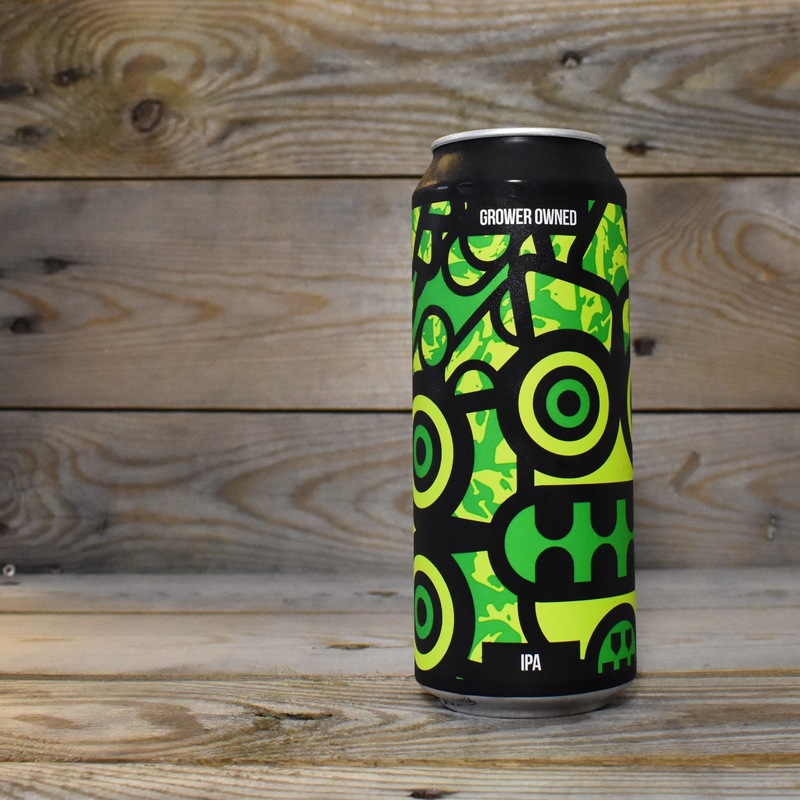 I think it's great and hope that this is a shape of things to come from Magic Rock. 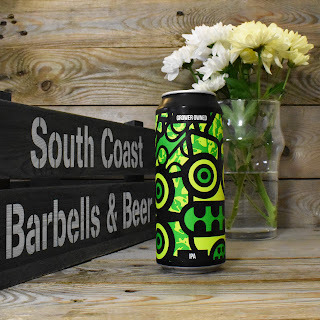 So this blog is getting on for eight months old now... and considering the subject matter and where I am based it's a bit of a travesty that this is the first review I've posted of a beer by Portsmouth based Staggeringly Good. 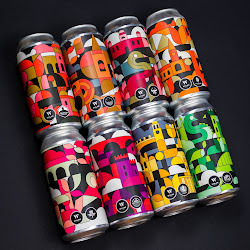 That's not to say I haven't been drinking them because I definitely have; Dawn Stealer was one of the first Black IPA's I ever had, their Keg Launch in the Wine Vaults last October was a great night of awesome beer and Velocirapture, especially the recent batch, is amazing. 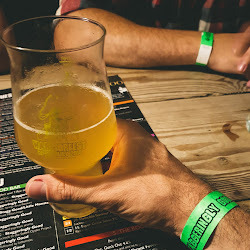 And then there is the Staggeringly Good Taproom which is a great venue and is worthy of it's own blog post so I'll save that for another day! 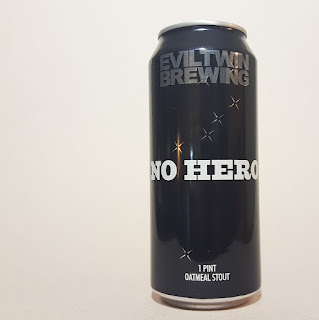 In short, they are a great brewery turning out cracking beer and are definitely on the up. ThaiRannoCitrus, an IPA brewed with Kaffir Lime leaves, is part of their core range and as of yesterday is the first beer that Staggeringly Good have released in cans. 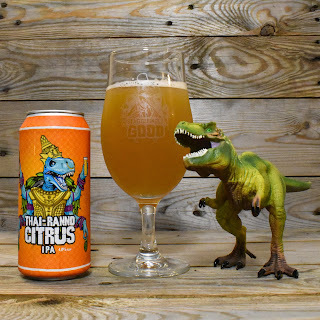 So I figured that was an ideal excuse to pop to the brewery, grab a couple of cans (and a dinoglass) and finally post my first Staggeringly Good review. 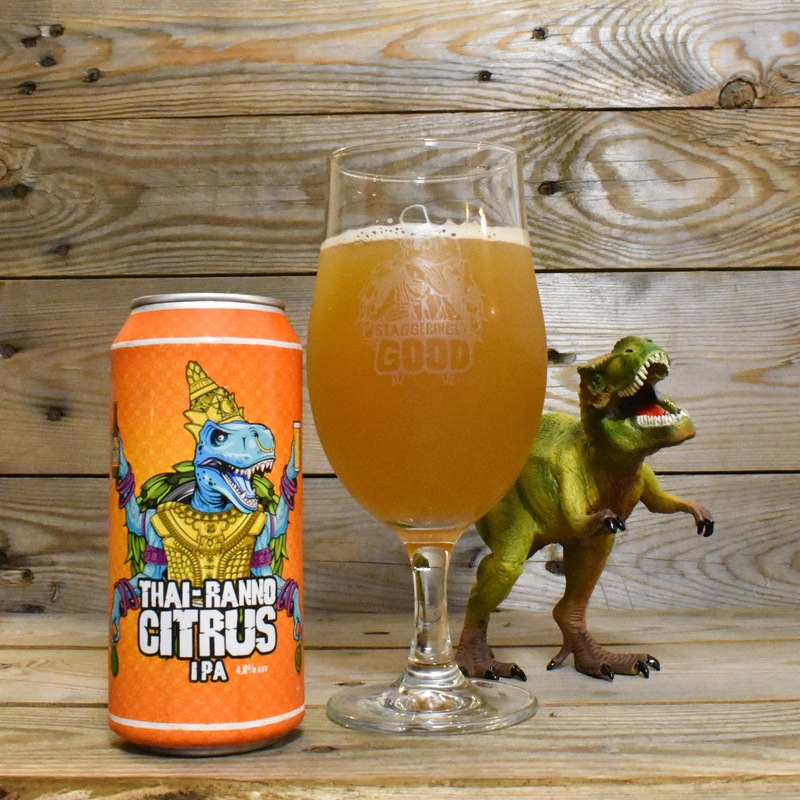 As with all of the their beers, ThaiRannoCitrus is totally unfined, and it pours with a very attractive golden yellow haze. It has a small white head which laces pretty well. The Kaffir Lime leaves are prominent on the nose, along with hints of soft tropical fruits and pine amongst the citrus. It has a moderate carbonation but has lovely soft mouth feel. The fresh citrus comes through first on tasting, there's a bit of pine bubbling away but then the finish has a nice pithy citrus bitterness to it. 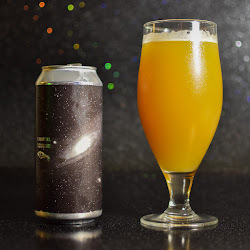 None of these flavours though are over powering and the final result is an aromatic but very well balanced and easy drinking IPA. 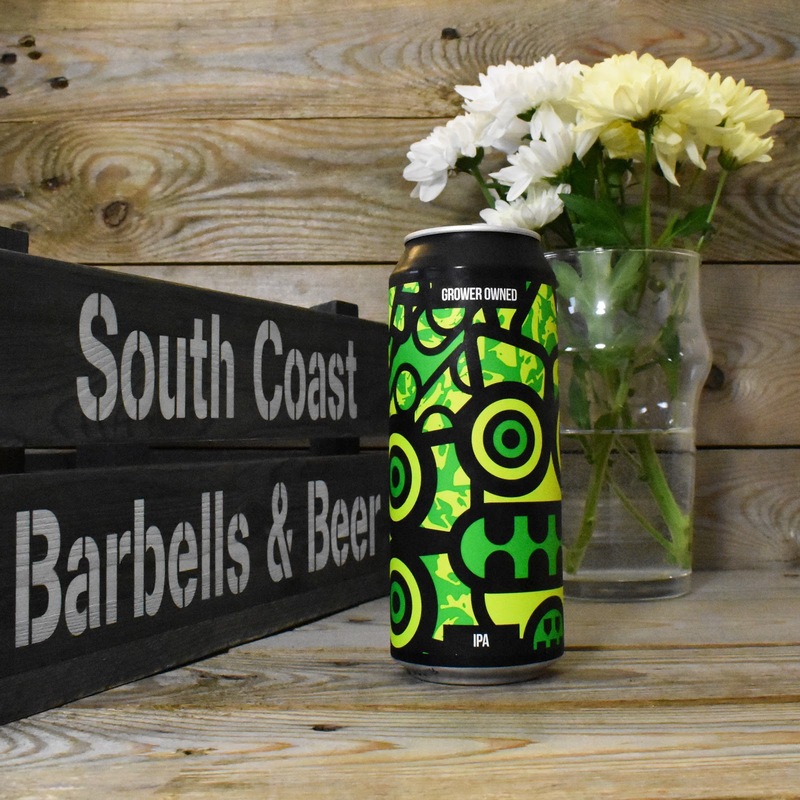 Staggeringly Good are just one of several brilliant breweries that we are blessed with here on the South Coast; I'll bring you some more of their range very soon! 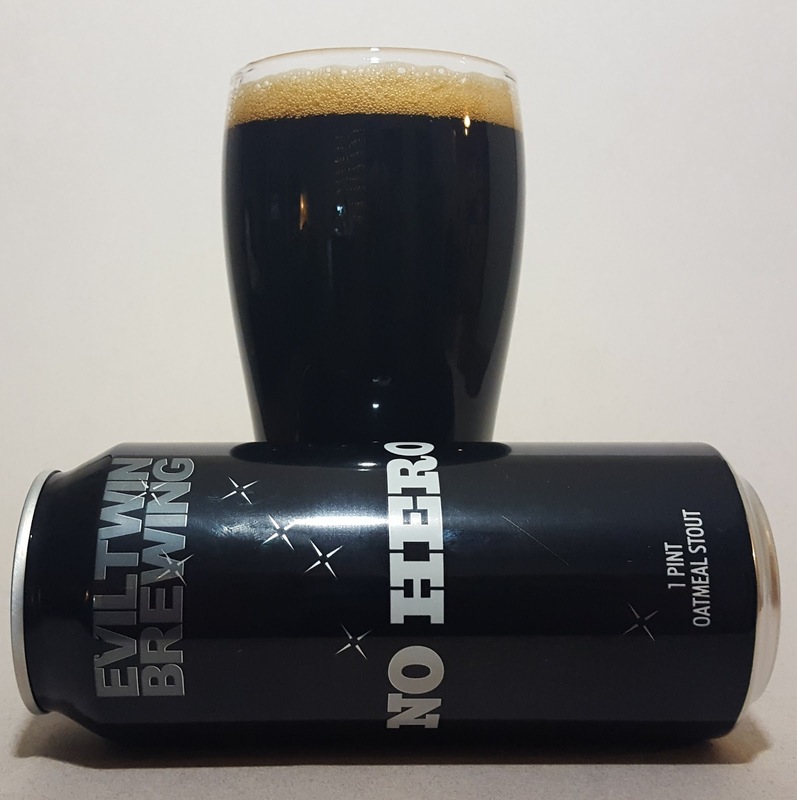 Undoubtedly one of my favourite brewers, Evil Twin have a reputation for cranking out top quality, strong and often completely bonkers beers. Falco was good, Even More Jesus was brilliant and Imperial Biscotti Break is one of the best beers I have ever drunk. 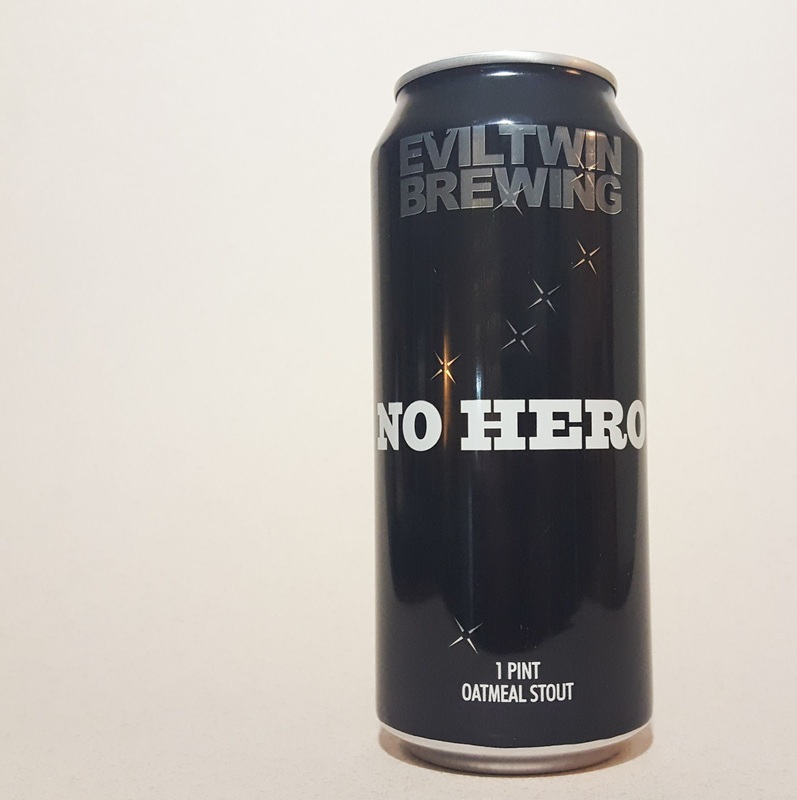 So how does No Hero stack up? Well yeah, it's another good one! 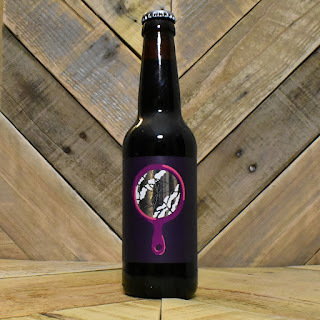 This Oatmeal Stout sits in the glass like crude oil; thick, black and wonderfully glossy. It has a mocha coloured head that whilst initially has a thick sponge like appearance, doesn't really hang around long. The nose isn't complicated but it is powerful, with black treacle being the main feature along with just a hint of vanilla. 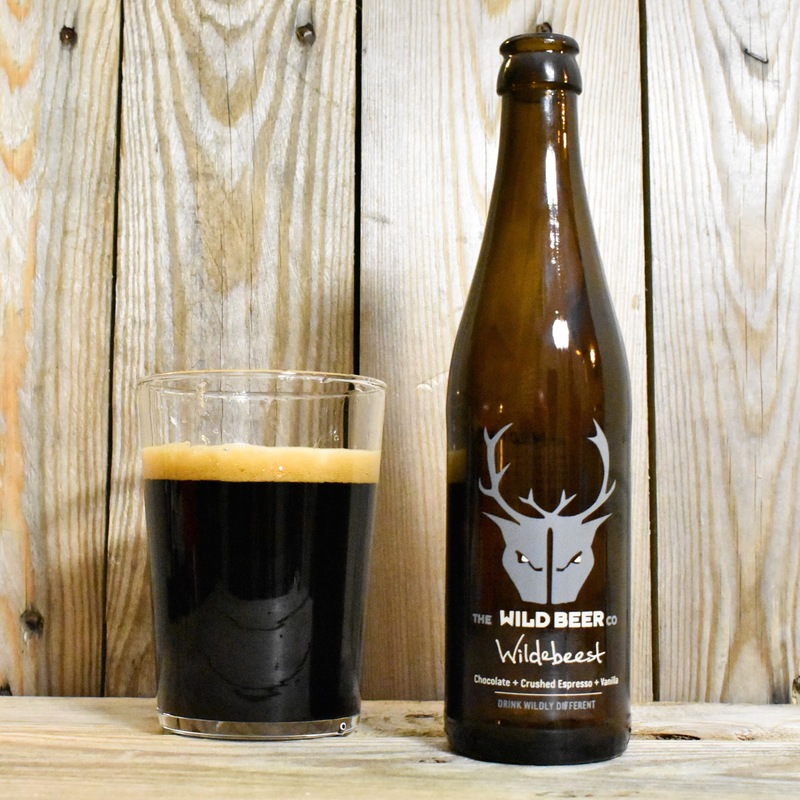 The black treacle continues to be the main event when it comes to the tasting, but this time liquorice is the partner in crime. 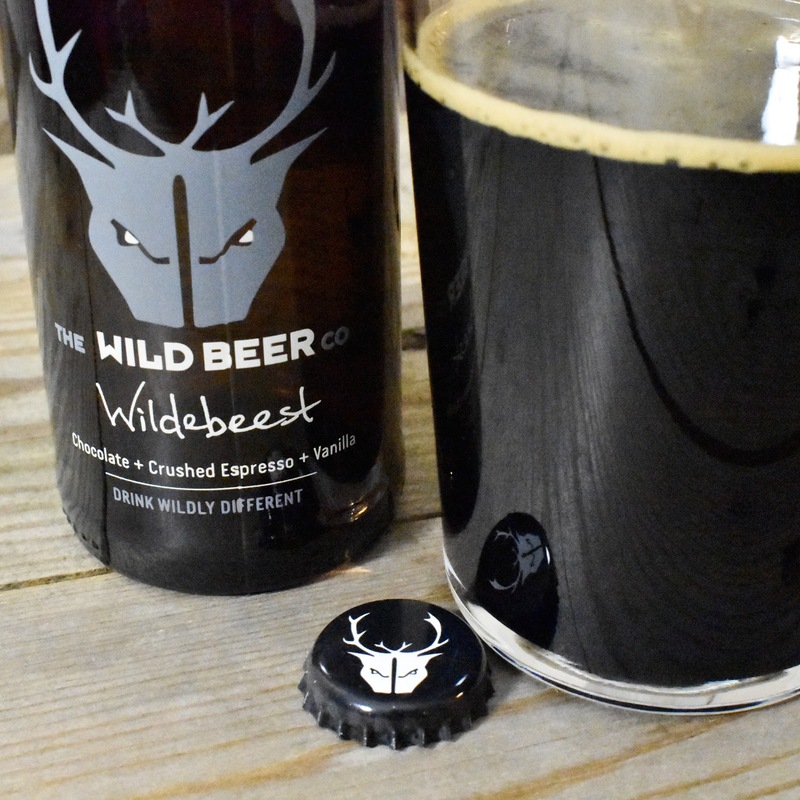 Then as the beer warms up slightly there is also a hint of honey comb (cinder toffee) to the finish. No Hero isn't quite up to the amazingly high standards of the previous Evil Twin stouts that I've enjoyed but it's still a great beer and one that any lover of thick dark beers should try at some point. 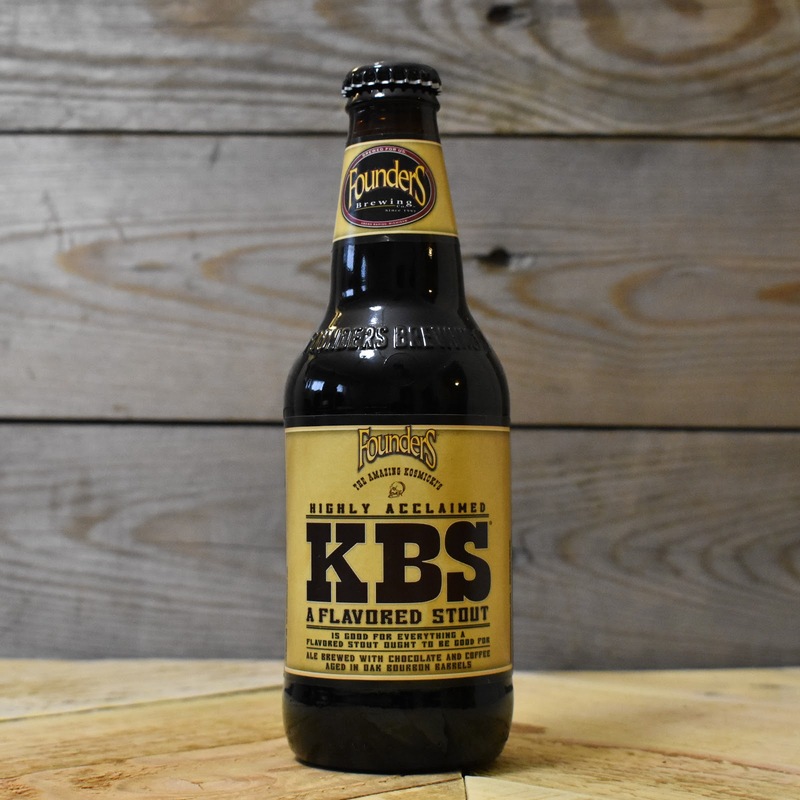 There aren't many stouts amongst craft beer aficionados that are spoken about with as much fondness and reverence as Founders KBS. 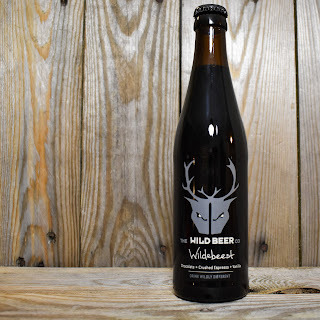 This bourbon barrel aged version of their standard Breakfast Stout has gained a reputation for being one of the boldest and flavourful stouts around. 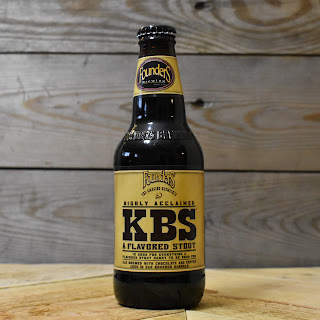 From what I can tell, although it is seasonal, it is relatively easy to get hold of in the USA when it is released. 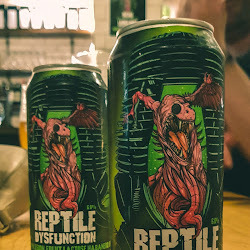 But in the UK, due to it's reputation, any bottles are normally snapped up pretty quickly. 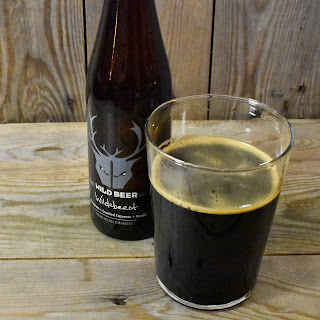 I'd been desperate to try a bottle this year but feared I had missed out... thankfully The Beer Musketeer answered my prayers and as soon as I saw they had sourced a handful of bottles I went straight there and snapped one up! So does it live up to it's reputation? You bet your arse it does! It looks exactly as a barrel aged imperial stout should; thick, dark and with a caramel coloured head. It has one of the more powerful aromas that I've experienced on this beer journey. The bourbon is evident immediately, along with black treacle, hints of coffee and a cigar like sweetness. 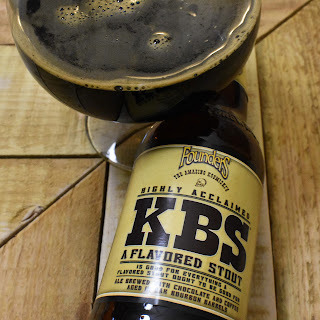 KBS has a lovely thick, unctuous mouth feel with almost no carbonation. That tobacco and black treacle sweetness is first up on tasting, with a hint of dark chocolate bitterness followed by a powerful punch of bourbon flavour and warmth on the finish. 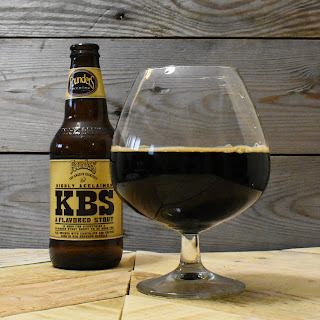 KBS met and exceeded my expectations. It's a fantastic beer that doesn't take any prisoners. 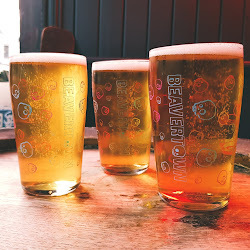 However, in the quest to try the best beers in the world we can't ignore what is on our doorstep. 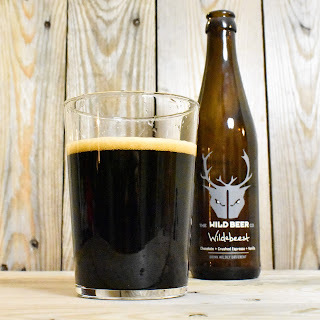 Only a few months ago I reviewed Bourbon Oktober by Vibrant Forrest which in my opinion compares incredibly favourably to KBS. In fact they're so close I wouldn't be able to pick a favourite without doing a direct side by side tasting. So KBS is brilliant but if you're a UK based drinker struggling to get hold of a bottle don't despair; grab a bottle of Bourbon Oktober and you won't be sad any more. 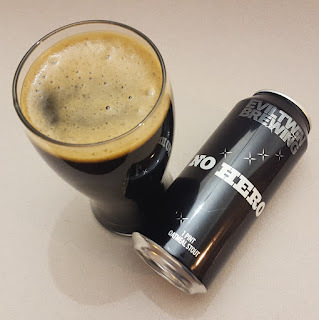 It says something about the quality of this beer that when I cracked it open on a Friday night two weeks ago I was too focussed on enjoying it to go to the effort of firing up my laptop and writing the review. 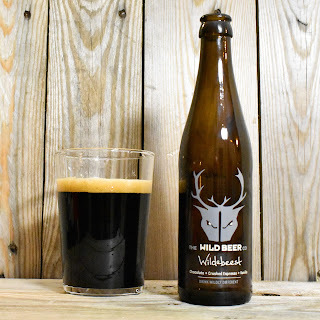 Somerset based Wild Beer are a company that continues to impress me; their hoppy pale ales and IPAs that I've experienced have been incredibly sessionable (Bibble, Madness) and Millionaire, their Salted Caramel Chocolate Milk Stout, is a joy. 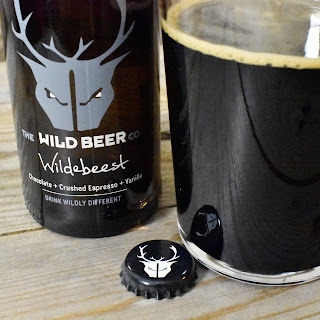 Wildebeest is an Imperial Espresso, Chocolate and Vanilla Stout; a combination that regular readers will know is one that is bound to get me interested. It pours out of the bottle jet black and glossy, like crude oil. It has a caramel coloured head that does a reasonable job of hanging about. 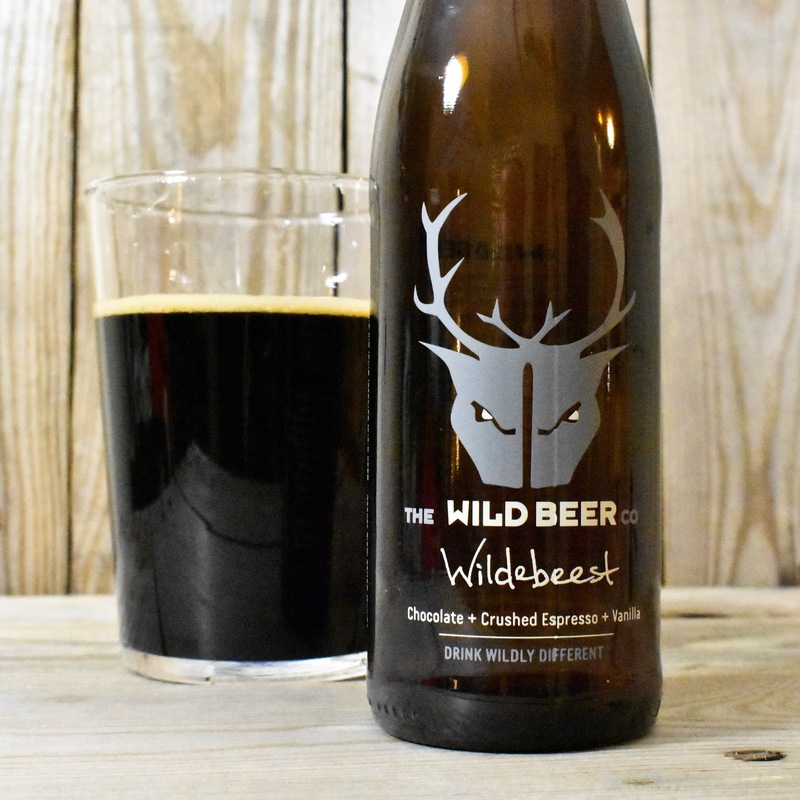 Wildebeest has a rich and punchy aroma, full of vanilla, dark chocolate and bitter coffee. It has a creamy and luxurious mouth feel. 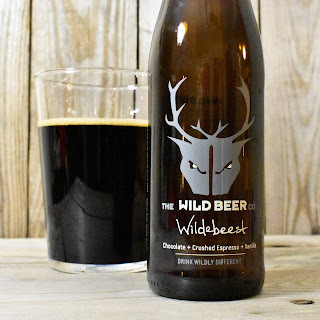 On tasting the vanilla and smooth coffee dominate; that coffee then becomes something more bitter, along with dark cocoa. There's alcohol present, but it isn't overpowering. The whole thing reminds me of a chocolate covered coffee bean, which just so happens to be one of my favourite posh sweets. Wildebeest is a grown up beer, full of flavour that encourages relaxed sipping and savouring. I'll definitely buy this again. Established in 2005, Bakewell based Thornbridge have to be recognised as a true pioneer in terms of the UK craft scene. 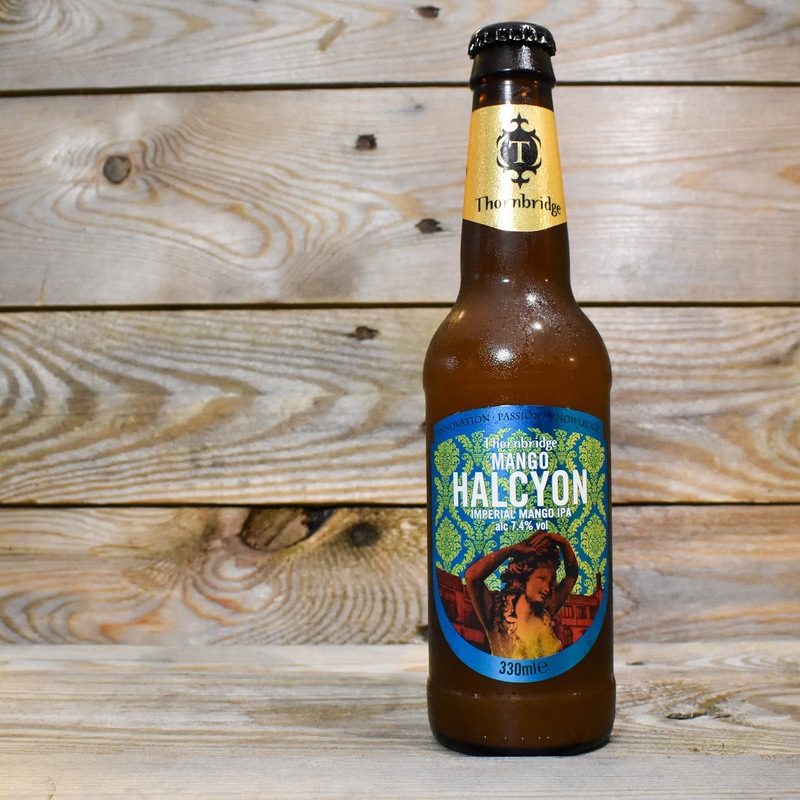 Whilst their range may not be as eclectic or fuss worthy as some of their contemporaries, Thornbridge began experimenting with their beer before many other 'craft breweries' were conceived. 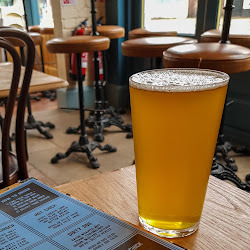 Jaipur, their ever popular IPA, is world renowned and when I tried it on my recent trip to Buxton it impressed me hugely. I picked up this bottle of Mango Halcyon in Beer District, a lovely little bottle shop in Buxton, just a short drive away from Thornbridge's brewery in Bakewell. 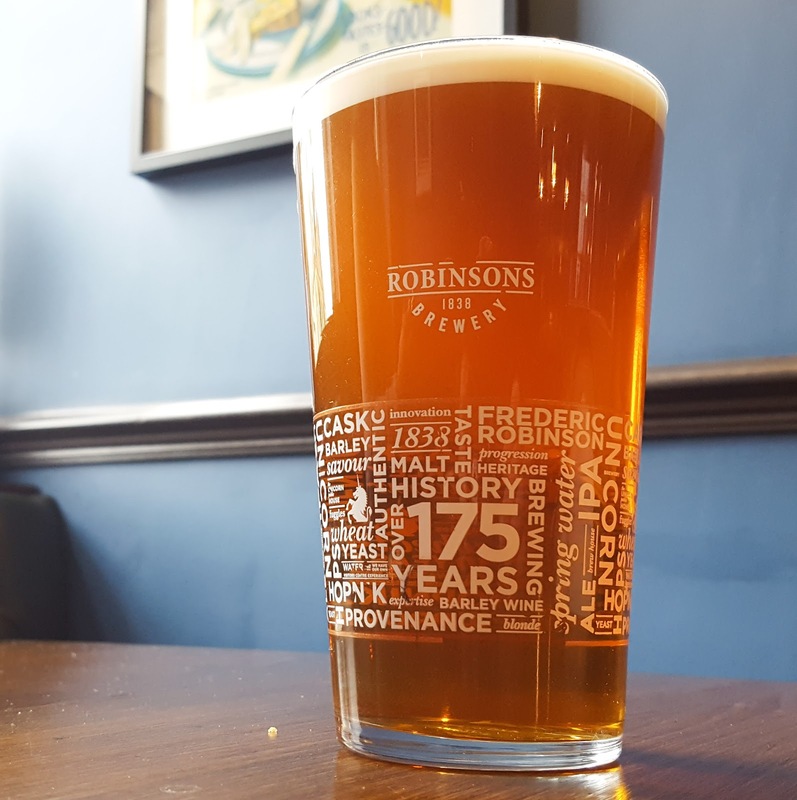 This mango infused Imperial IPA scores well on Rate Beer and represents one of the more modern 'fashionable' beers in the Thornbridge range. It pours a lovely cloudy yellow, the colour of ripe mango flesh, with a small white head that dissipates quickly. It has a fragrant nose, with mango aromas evident along with pine and some pithy citrus fruit. 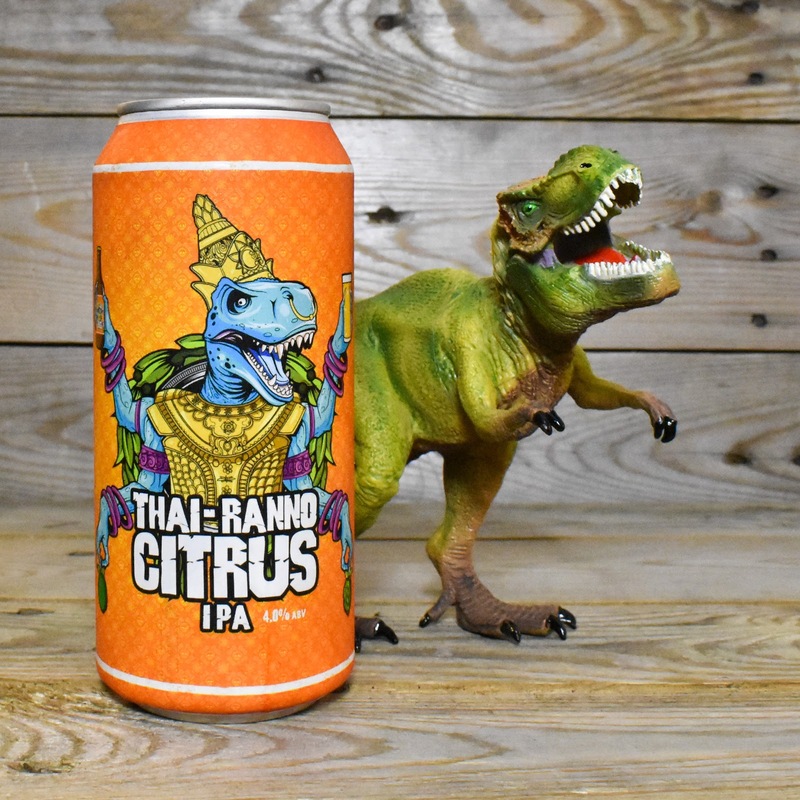 It has a relatively light body, but is relatively well carbonated, the bubbles dancing off your tongue like a fizzy soft drink. 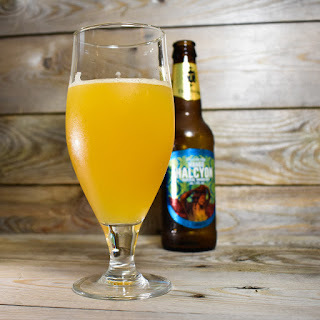 The mango from the nose does follow through into the taste, but it doesn't hang around long. 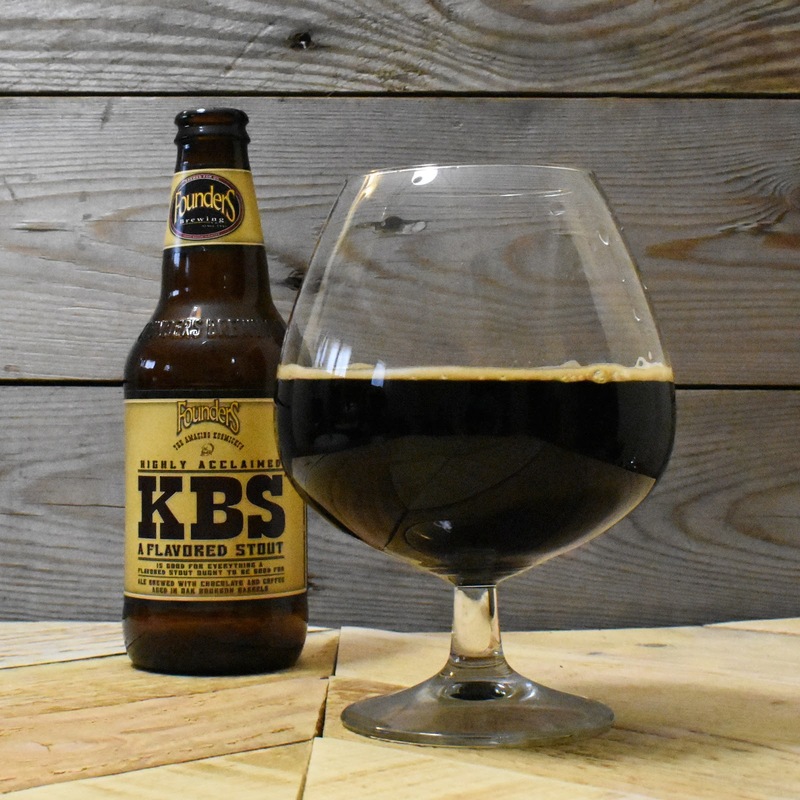 Instead there's a sticky punch of resinous pine and a finish full of grapefruit bitterness. 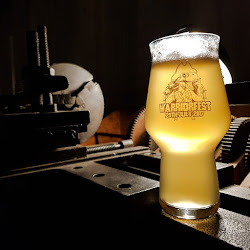 When you put Mango in the name of the beer I'm really hoping that the flavour of that soft sweet flesh will be front and centre, much in the way that Northern Monk showcase Passion Fruit in their amazing Lassi IPA. 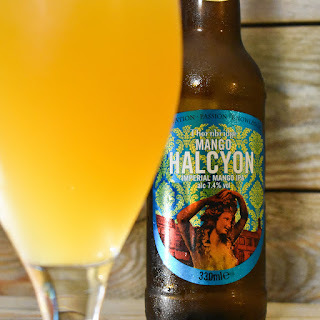 In Mango Halcyon that is not the case, but, that doesn't make it a bad beer. 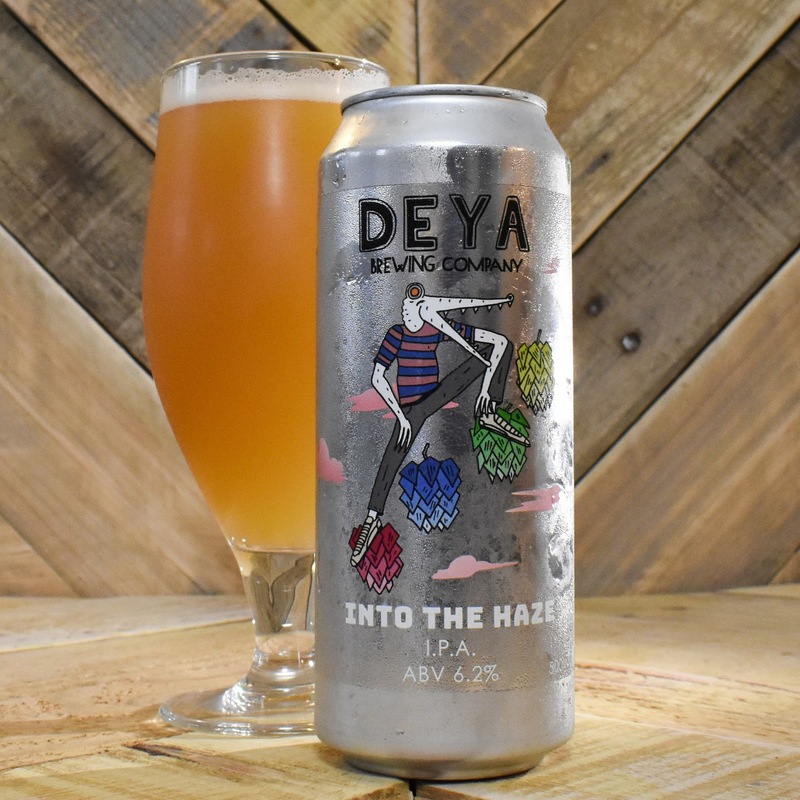 In fact, in a market place somewhat dominated by NE style juice bomb IPAs, it's actually quite refreshing to find a beer that, whilst having some fruit flavour thrown into the mix, still tastes like a beer. 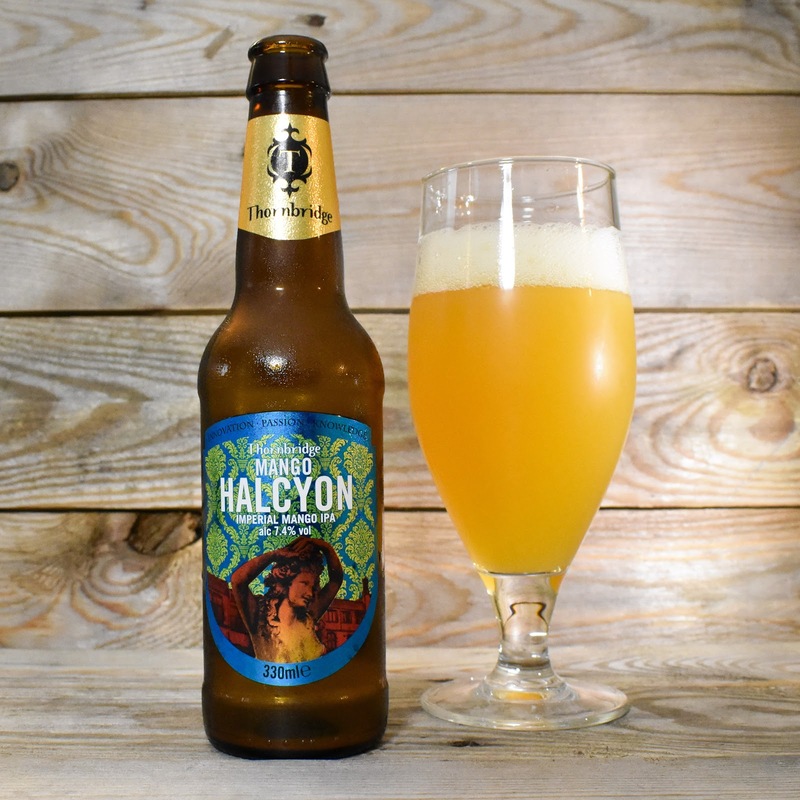 It may not blow away the 'craft beer' aficionados but Thornbridge's Mango Halcyon is a very refreshing imperial IPA that tastes pretty good on this hot summer's day. So after finally writing my blog post documenting my trip to Buxton I figured it was about time I cracked open one of my bottles of Yellow Belly Sundae. 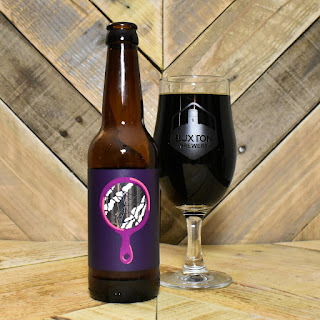 Yellow Belly, the bonkers peanut butter biscuit stout by Buxton and Omnipollo, was one of my favourite beers of 2016; the balance of flavours blew me away! 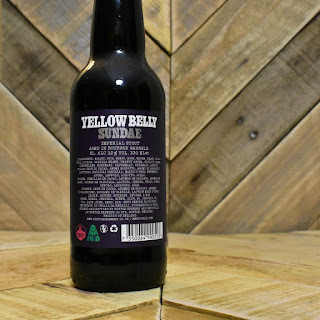 So when I saw images of Yellow Belly Sundae being shared I knew I had to get hold of some. 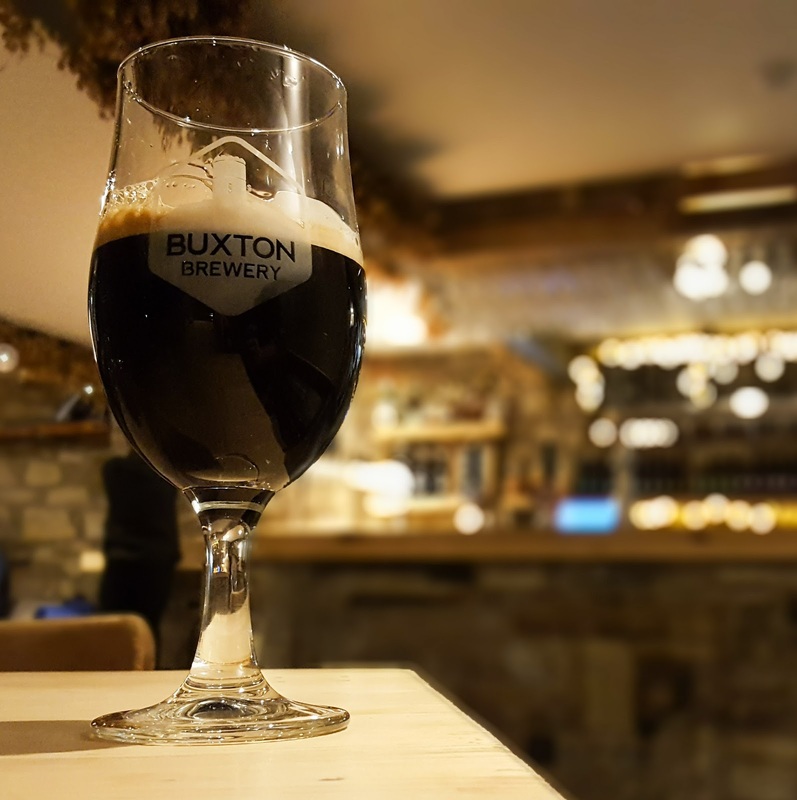 However this bourbon barrel aged version was only available direct from the Buxton Tap House, hence the road trip! So was it worth it? You bet your boozy stout it is! 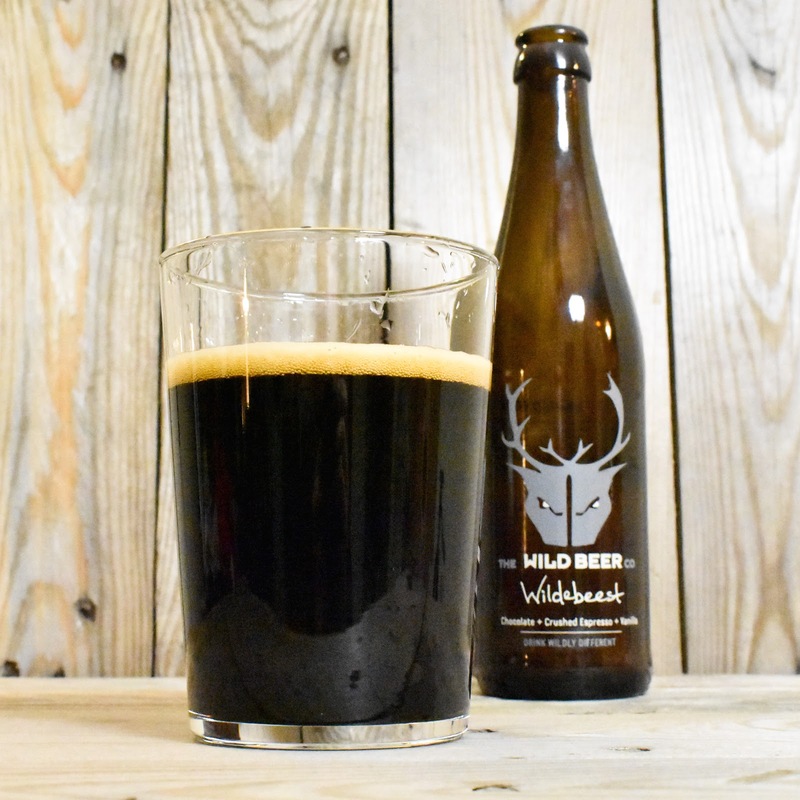 In the glass it looks just like the original; thick, glossy and almost jet black, with a small caramel coloured head that disappears soon after pouring. The aroma is a lovely desert like mix of sweet digestive biscuit, vanilla, peanut butter and dark cocoa. 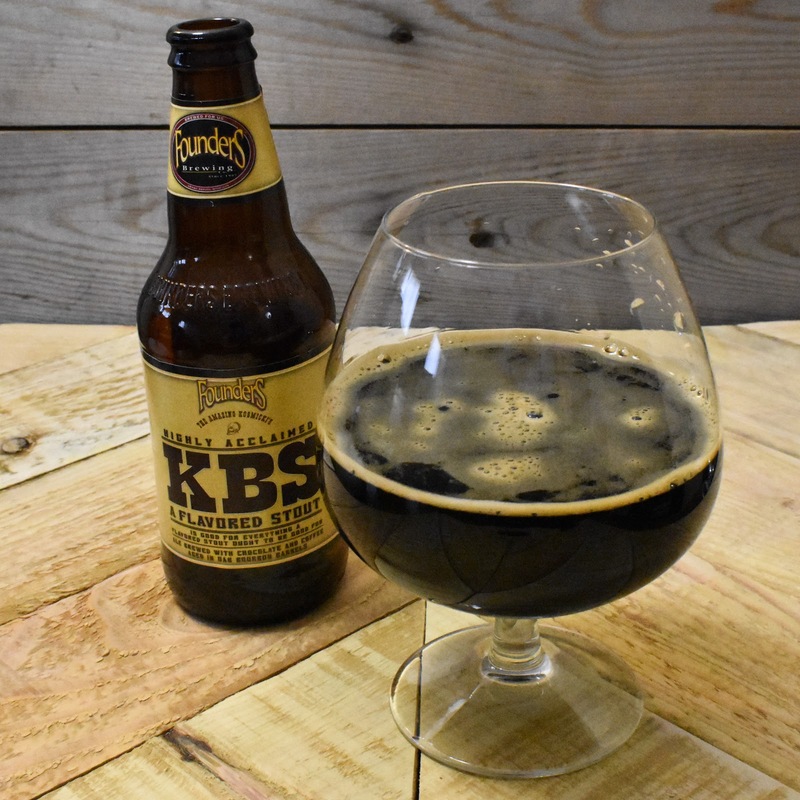 It is medium bodied with no real carbonation and a silky mouth feel. 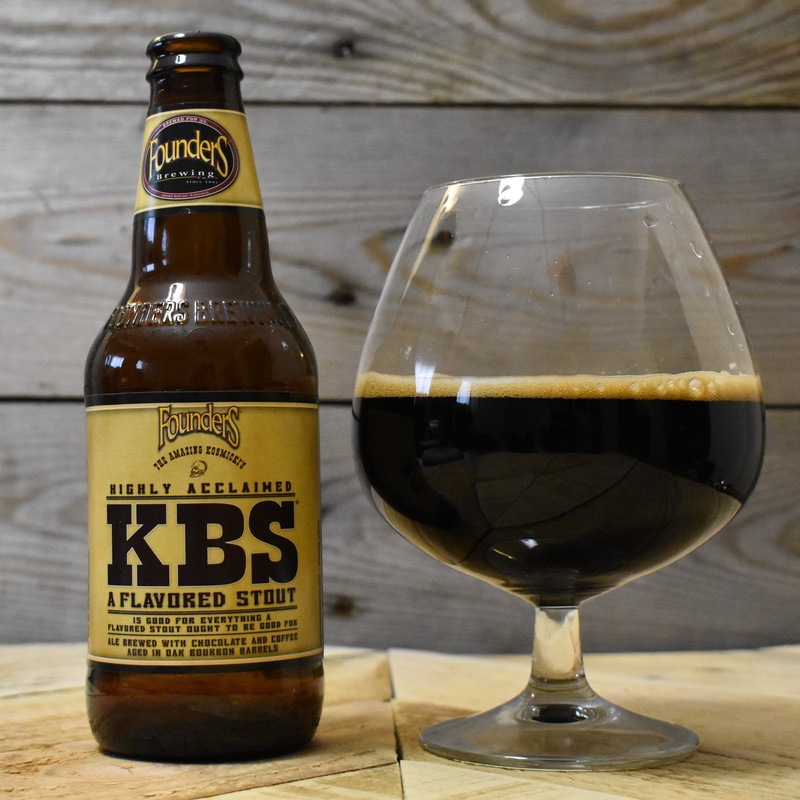 On first sip this almost fools you in to thinking that it's the same old Yellow Belly; vanilla and biscuit come first followed by peanut. But where as in the original that peanut carries through to the end, here it is soon overtaken by a big hint of booze followed by a warm bourbon finish. 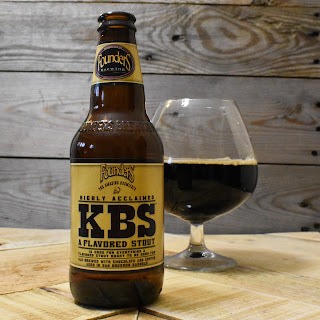 I love the original Yellow Belly and this bourbon barrel aged version is a great special addition. I like my stouts big and boozy and that's just what Yellow Belly Sundae is. I have one bottle left and that's going to get stored for a cold dark winter's night.... on that sort of occasion this will absolutely sing! 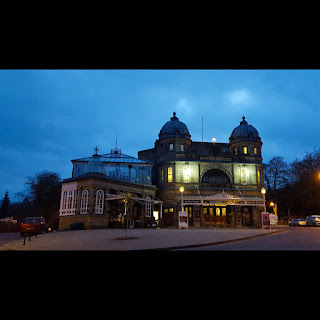 As part of my recent birthday celebrations my fiancée Vicky (who by the way has an amazing nail art based blog so check out The Polish List) booked us a trip to Buxton. I guess she must have finally got bored hearing me harp on about how much I loved Buxton Brewery and especially about how desperate I was to visit the Buxton Tap House and try Yellow Belly Sundae. 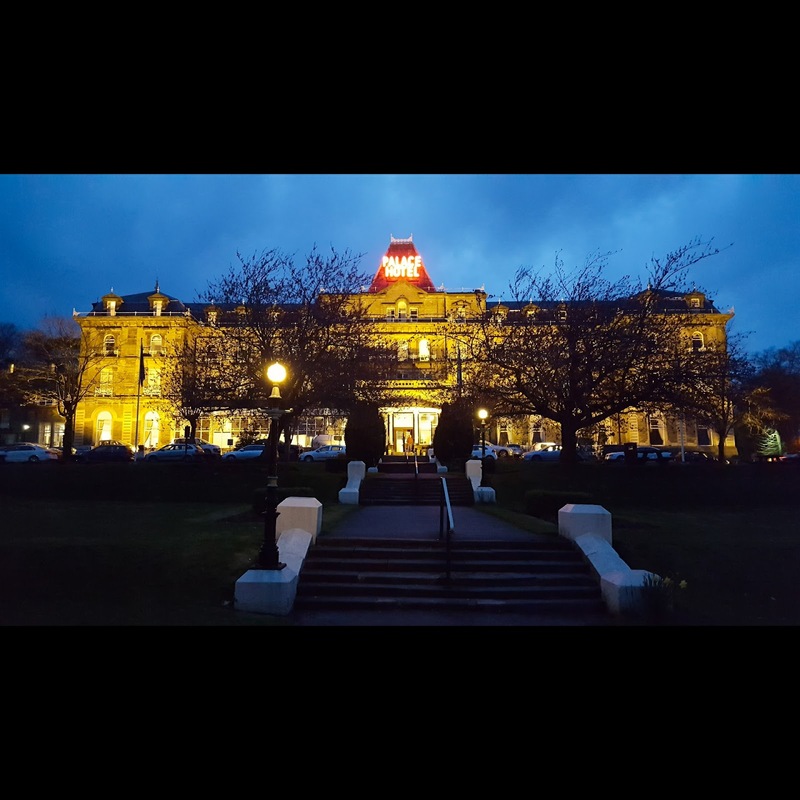 So at around 6.30am on a cool April morning the two of us climbed into my car, armed only with snacks and a Disney sing-along spotify playlist, and commenced our four hour road trip. Thankfully the travel itself went smooth and, after a brief pause for coffee and doughnuts, we arrived safely at our first destination. 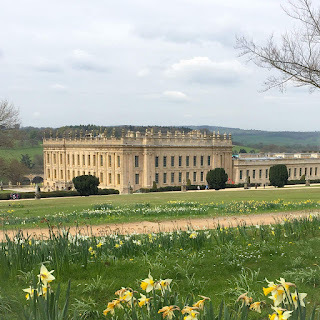 Chatsworth house had long been on Vicky's 'to do' list so it made complete sense that with it only being around fifteen miles away from Buxton that we killed two birds. And I'm glad we did. Chatsworth is spectacular. The house itself is as grand as you'd want and the displays give a great insight into it's history. But as good as the house is, the sprawling gardens really stole the show for me. My only regret is that due to how tired I was after the early start and long drive was that we didn't really do them justice. 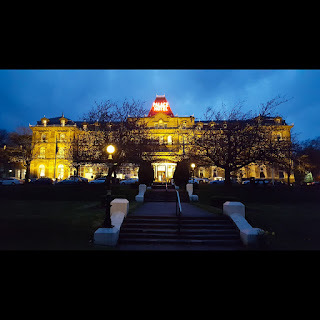 In Buxton we were booked into The Palace Hotel; can you imagine my heart break my face when being told that we too early to check in but spotting that the Buxton Tap House was barely more than a stones throw from the hotel's reception?!? 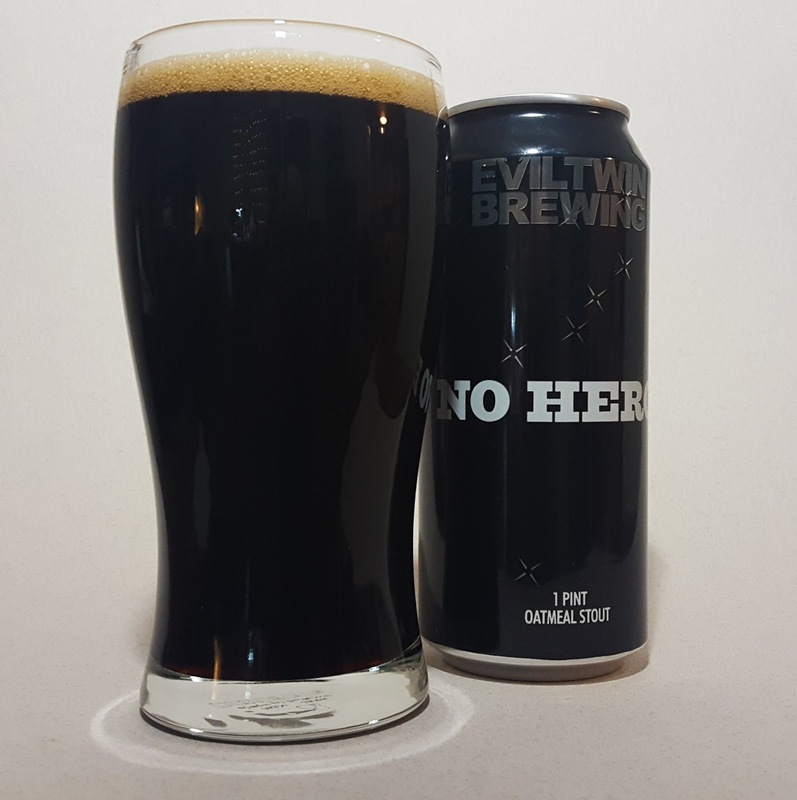 So knowing that the car was safely parked I finally got to walk through the doors into one of my beer nirvanas. 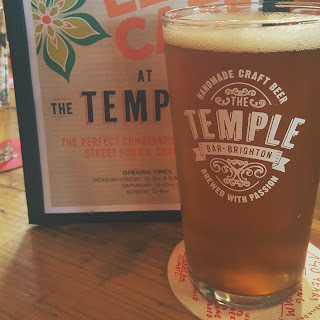 The Tap Room, whilst slightly smaller than I'd expected, was everything I had hoped for! 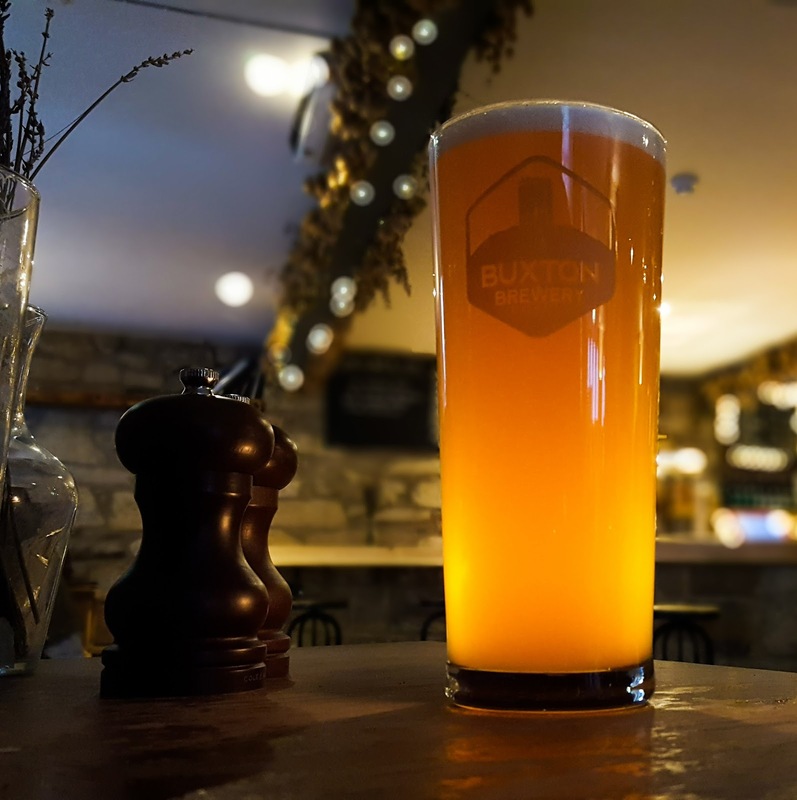 Light, airy and most importantly, full of brilliant beer, including plenty of bottles of Yellow Belly and Yellow Belly Sundae behind the bar. I wisely though eased myself in gently, so first up was a pint of Buxton Spa, a very easy drinking pale ale. 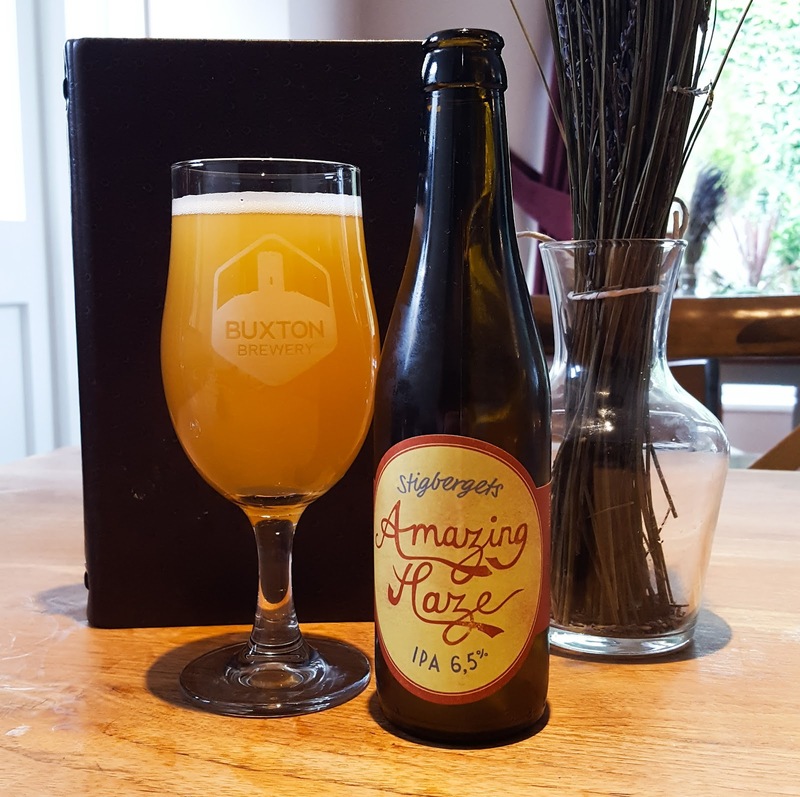 That disappeared very quickly so I followed up with a bottle of Stigbergets Amazing Haze which was superb. 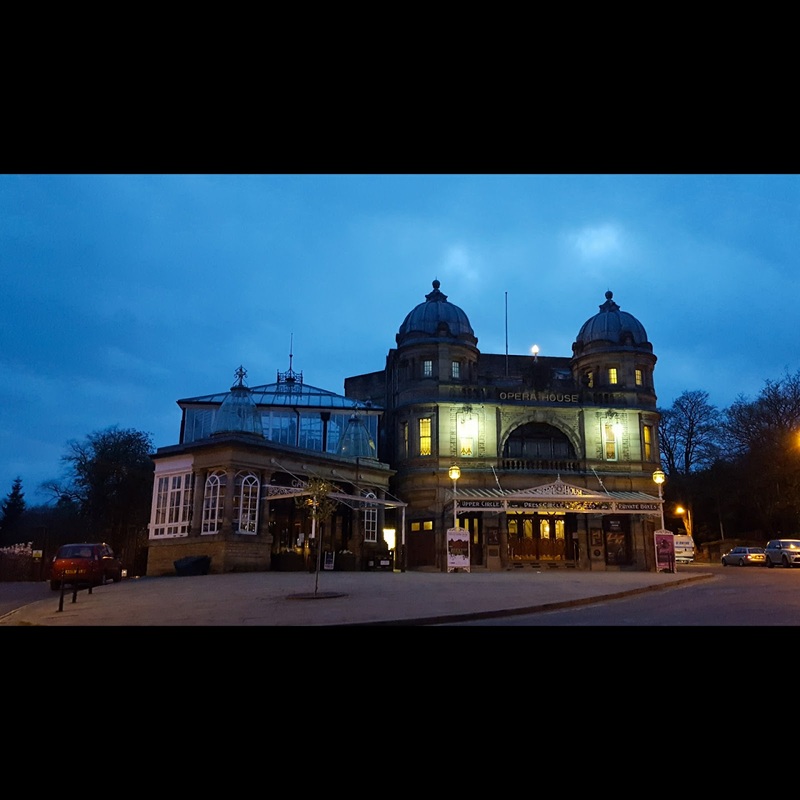 After a brief interlude which included a stroll around Buxton, a nap and a shower, we returned to the Tap House for dinner and more beer. 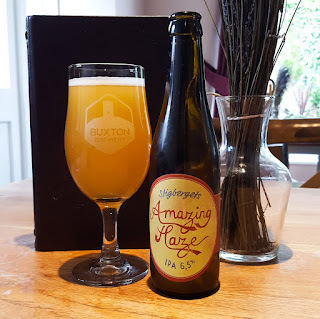 This time around I had Buxton Axe Edge (a traditional but very good IPA) and Buxton Myrcia (super smooth Oatmeal Hopburst Session IPA), both of which went very well with my burger. 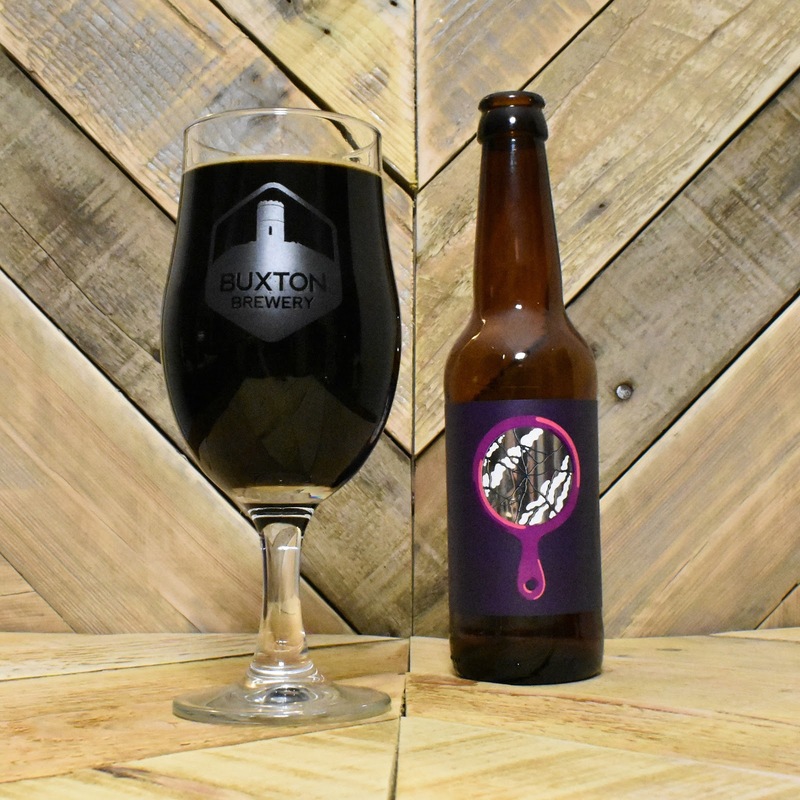 Then after dinner instead of a desert I had a third of Subliminal, an Imperial Stout born of a collaboration between Buxton and Stillwater Artisanal. 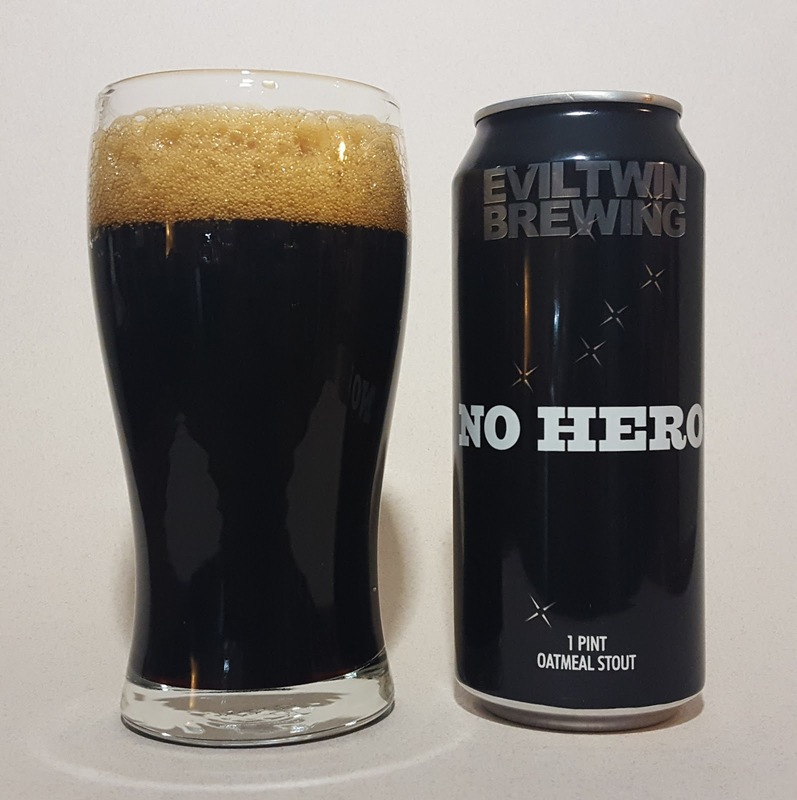 I'm not exaggerating when I say it's one of the best stouts I've ever had. After a good night's sleep and a hearty breakfast in a local café we explored Buxton a little more. It's a beautiful town, full of old stonework buildings. Sadly we did then get hit with a short rain shower so had no choice but to dive into the nearest pub, The New Inn. Here I enjoyed a pint of Robinson's Double Hop, a traditional but very well brewed and kept cask IPA. 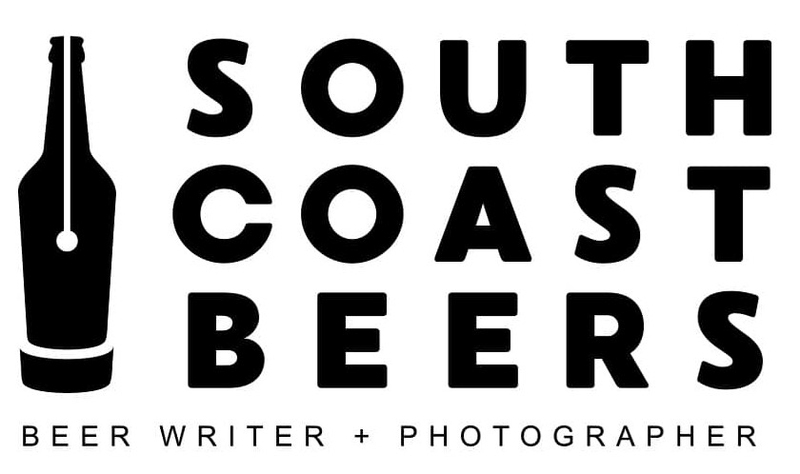 As part of this sight seeing I also grabbed some 'souvenirs' from The Tap Room and from Beer District, a lovely little bottle shop with a great range of beers, both local and much further afield. 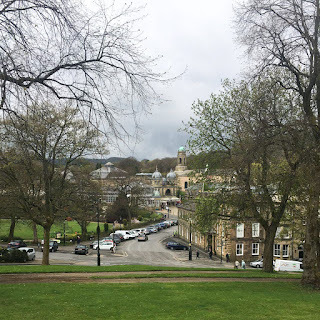 We then took a short drive to nearby Bakewell, another picturesque market town. 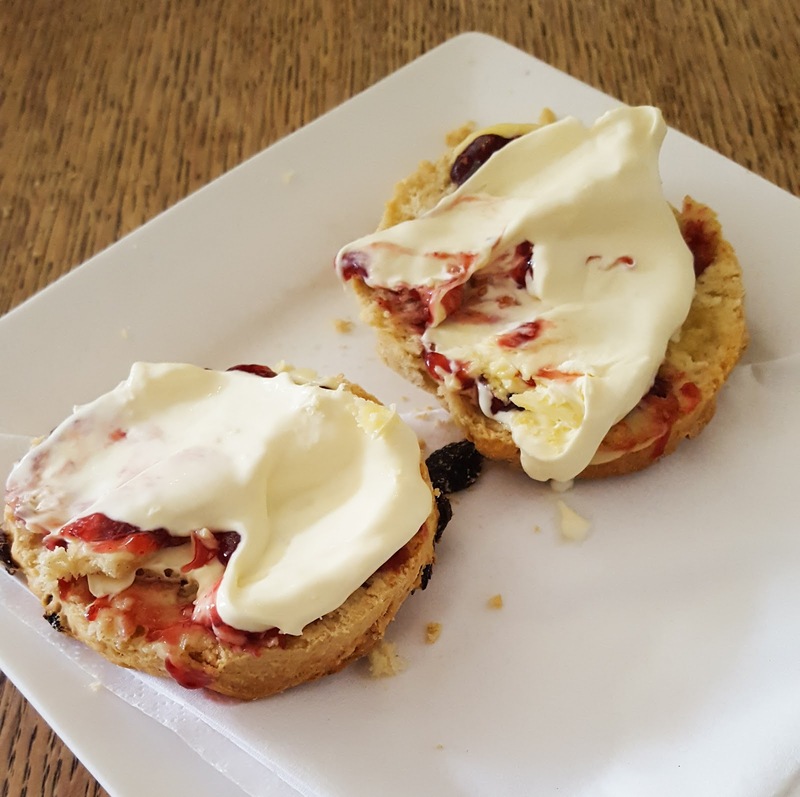 Although as beautiful as it was, my highlight here was probably the amazing fresh scone with jam and clotted cream that I enjoyed in a cosy little tearoom. The evening obviously revolved around food and beer! Thornbridge Brewery are based in Bakewell and are one of the few British Breweries that seem to successfully span both traditional English brewing and more modern craft styles. In fact Jaipur, their hugely successful IPA, is often described as a gateway beer for many. 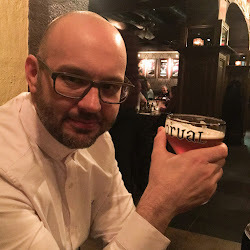 Whilst it may no longer be at the forefront of modern brewing, the pint of Jaipur that I had in 53 Degree North was one of the finest cask ales I've had in a long time. It really was outstanding. Dinner was in Lonestar Bar and Grill, a family run Tex Mex restaurant next door to The Tap Room. Whilst their beer options were limited, the food was both generous in size and flavour. 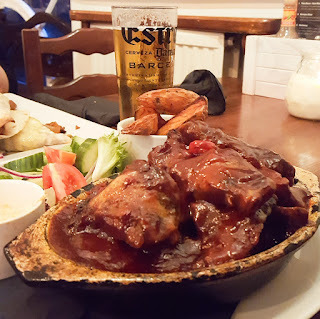 The sharing nachos to start really hit the spot and the Hot 'N' Spicy Bones (BBQ ribs) were incredible. We both left there very satisfied. Of course we couldn't finish the night without popping into The Tap House where I had no hesitation in going straight back to Subliminal... damn that's a good stout! And then back to the hotel for sleep before the long drive home (we won't discuss the tense forty minutes where we lost GPS signal and therefore all navigation). 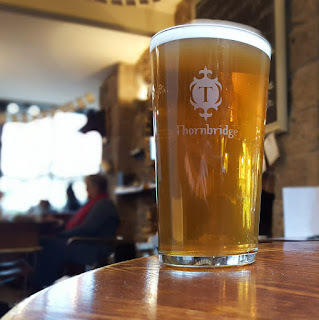 The whole trip was amazing and it's definitely one I'd do again, hopefully to include a tour around the Thornbridge Brewery. For now I'll console myself with the amazing beers that I came home with... expect to see the reviews soon.